Evolution Gaming is a growing software company that provides titles for many online and offline casinos. However, their services go far beyond that. In addition to offering table games for online casinos, it even offers these games for TV audiences. The games provided by Evolution are brought to casinos through various broadcasting facilities. The studios were built specifically for the software provider. Of all the land based European game operators, Evolution Gaming is the biggest. They provide game dealers for casinos all over the world. This means their dealers collectively speak multiple languages. The company’s mission control room is where each game table is monitored. If a problem occurs during gameplay, it is immediately corrected. That’s why Evolution Gaming’s Baccarat, Roulette and Blackjack games run flawlessly. The live TV services combines with Evolution Gaming’s mobile apps to bring live dealer table games to busy players. The streaming services mean mobile casinos can provide high quality real time video. This lets players take their favorite table games with them wherever they go. They won’t even notice a difference in quality between mobile games and desktop computer games. The worlds of online and offline casinos are merging, due to the contributions of Evolution Gaming. They offer dual play versions of both Baccarat and Roulette. This involves bringing online and offline gambling to game tables. Dual play means that people in a land based casino can participate in a game of Roulette with those using certain online casinos at the same time. Online casino operators everywhere can provide their players with live promotions with the help of Evolution Gaming. 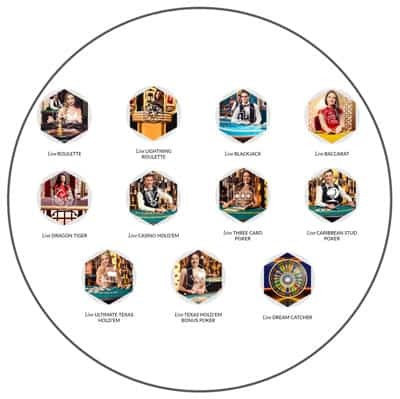 These promotions are presented to players while they are engaged in live dealer games. This allows casino operators to promise players a chance at winning instant prizes. It also gives them the opportunity to sell their players on other types of games they offer. Being able to use live promotions helps online casinos attract and retain players. The reason why game dealers are so talented is that they attend the Evolution Academy. This is a training facility where dealers work on sets designed to resemble a real casino. They train in front of cameras and with full lighting and microphones. Dealers can see themselves on the playback monitor. They can also practice chatting with players during gaming sessions. There is no lack of games to choose from at casinos powered by Evolution. The software provider’s game family includes Roulette, Blackjack, Baccarat and various versions of Poker. Variations on Roulette include standard and Lightning. Players can also enjoy a game of Infinite Blackjack. They can also choose from Casino and Ultimate Texas Hold Em, Three Card Poker and Carribbean Stud. Evolution also offers their Live Football Studio. This combines a basic card game and European football commentary. Players are dealt two, face-up cards to begin the game. It is played on a table that looks like a football field. Players must then choose to place a bet for a home or away win, or even a draw. Games are hosted by dealers with a passion for the subject. Their hosting style is the same style used to by those who do sports commentary. This card game is always played at the same time a football match is taking place. This makes the whole experience much more interactive. When it comes to games of First Person Play, Evolution enables it for Roulette and Blackjack. The games are viewed in 3D and allow each player to customize his or her experience. For example, players can set a game of Roulette so that they aren’t timed when placing their bets. At the same time, other players have the ability to speed their game up. Progressive JackpotsEvolution offers progressive jackpots on many of its games. Online casino operators can choose to offer their players progressive jackpots in live dealer versions of Poker. The network that Evolution has created contributes to these jackpots. The company’s Jumbo 7 Jackpot, offered on Casino Hold Em games, is the largest in the industry. The top jackpot prize goes to the players who get a seven card Straight Flush. There are lower levels of this progressive jackpot as well, which can be won with a 6 Card Straight Flush. At both online and offline casinos, Evolution Gaming has had a strong impact. The many services they offer have endeared them to casino operators all over the world. The level of service they provide is top notch. 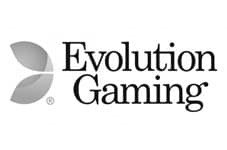 Chances are that Evolution Gaming will continue to grow and thrive as a software provider. They have already shown that they offer a wide range of products. In doing so, they are positioning themselves to change the gambling industry.